Do you want to know how to find the right people, retain them, reward them and integrate them in your business to do great work? 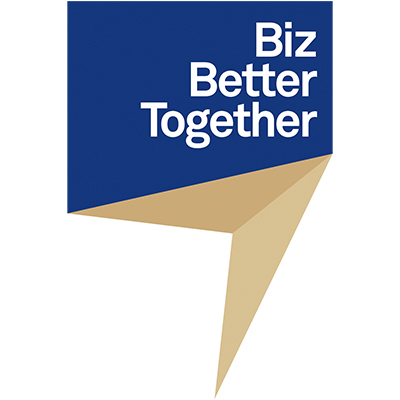 The Biz Better Together initiative was established by the Australian Chamber of Commerce and Industry with assistance from the Department of Employment under the Productivity Education and Training (PET) Fund. It aims to engage with and inform business owners on how to manage people in the digital age to do better business. The Biz Better Together initiative has connected over 10,000 businesspeople through more than 150 events held across Australia. There are 100 articles on best business practice and interviews with entrepreneurs, thought leaders and technology experts published under the Biz Better Together banner on the Australian Chamber website. Biz Better Together is also responsible for the NextGen in Business event series, looking at multigenerational management, leadership, workplace culture and the future of work. Three events took place in Brisbane, Sydney and Melbourne to help businesses understand the productivity challenges of working with five different generations in the workforce at the one time.